A Director in the MEA had delivered a note verbale to a Counselor in the Chinese Embassy on Wednesday, urging the cancellation of the bus service that is due to start on November 3, said an official, who spoke on condition of anonymity. Both Beijing and Islamabad responded to New Delhi’s protests. 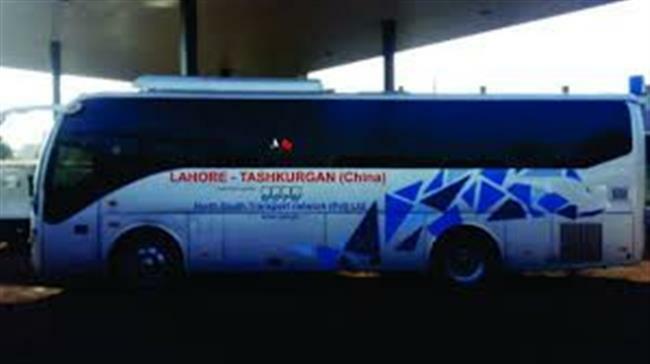 While China asserted that the bus service from Lahore to Tashkurgan in Xinjiang — timed to begin when Pakistani Prime Minister Imran Khan will be visiting Beijing — did not alter the country’s stance on the Kashmir issue, Pakistan dismissed India’s objections as “frivolous”. “As for the bus service, I have not heard of the relevant information and I have not heard of complaints,” Lu Kang, China’s foreign ministry spokesperson, said at the ministry’s regular briefing, when asked about India’s protest against the move. Mr. Lu stressed that the CPEC was an “economic project”, and did not reflect China’s position on Kashmir. “It is an economic cooperation project between China and Pakistan and not targeted at any third party. It has nothing to do with the territorial dispute and it will not affect China’s principled position on the issue of Kashmir,” Mr. Lu observed.